“Maritime Africa is a fantastic opportunity for Denel to launch our maritime division in public and articulate our aspirations within the sector” says Ismail Dockrat, Chief Executive Officer, Denel Integrated Systems & Maritime. He is a speaker at the upcoming Maritime Africa conference and exhibition, taking place at the CTICC in Cape Town from 23-24 November, and will focus on the growth of a safe, secure and sustainable African maritime domain. The event will bring together African leaders and global experts from the military, government, defence industry, law enforcement, marine manufacture and maintenance, commercial shipping and offshore extractive industries to share knowledge, experience and best practice. Denel is a gold sponsor at the event. He adds: “our key objective in the next year is to become a strategic partner to the South African Navy and from that foundation, to play a broader role in terms of supporting other navies in the region as well as working with the South African shipbuilding and ship repair industry to grow the industry to the benefit of everybody in that sector. 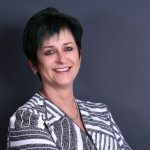 The annual Maritime Africa will incorporate Maritime & Coastal Security Africa, formerly a bi-annual event, and is organised by Spintelligent, leading Cape Town-based trade exhibition and conference organiser, and the African office of Clarion Events Ltd, based in the UK. Author: Annemarie Roodbol from Maritime Africa. 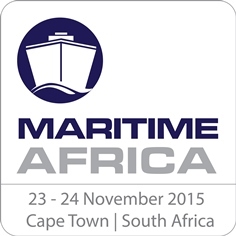 Images: For high res version/s of Two image/s please contact Maritime Africa.